Fully fenced section just 10 minutes drive to Turangi. 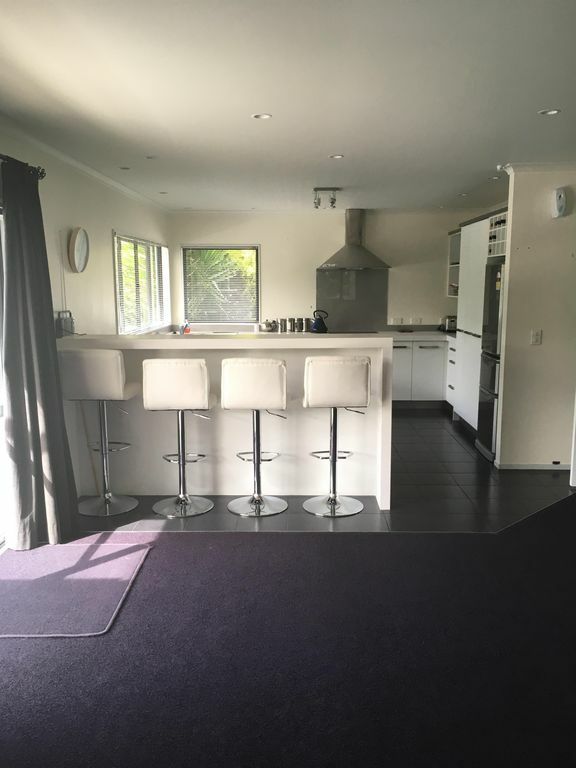 The property is only minutes from the Motuoapa Marina, lakeside beaches, cafes and just a 40 minute drive to Tongariro National Park. The home has a spacious open plan living area with sliding doors to a private covered in deck area offering indoor/outdoor flow. Master bedroom has an ensuite and walk in wardrobe. Air conditioning and wood burner for those colder months. Parking for boat and jet ski. Hi there, we are Margaret and Kieran with 3 grown children who enjoy holidaying at the lake so we can relax and go fishing. We recently purchased the home to be able to have time out and are wanting to be able to offer this to others also. Our home is in a quiet neighbourhood away from the hustle and bustle of everyday life. It is private, warm and cosy and great for families with the best of both worlds having the lake and ski fields close by. Awesome house and quite location. Loved the stay. House is beautiful, neat and clean and good space with bbq, deck, good space for kids to play. Glad to hear you had a wonderful stay and the outside space worked well. We loved our stay was perfect for us and the kids, great indoor and outdoor areas, super safe road so great for little ones. Good location to all southern side lake activitys. 20min drive and you have heaps to do. Great to hear that you had an enjoyable stay and that it was a safe place for the children. It was an amazingly comfortable stay. The house was perfect, loved the Kitchen and decks. We had a lovely time in a peaceful and beautiful neighbourhood.